Ya'll may not know this but...I...LOVE...MUSIC! Give me some ol school (I can't believe I'm old enough to say that) Kanye, a little James Blake, Beyonce, throw in some Drake, a few cuts from *insert any ratchet rappers name here* for the turn up and maybe even some Nora Jones then i'm set. Unless it's a particularly hard day then I'm going to need you to turn on The Read's podcast and stay out of my way. My point is, being able to have limitless access to quality audio at all times is important to me. Which is why when Sudio Sweden asked me to try out their wireless headphones I was more than happy to give them a whirl, especially with my upcoming 10 hour flight, yeah ill be needing those. Before I received the earbuds from Sudio, I had never had wireless headphones before, which may seem a little weird to all you hip folks out there but the whole wireless thing had never been a priority for me. Matter of fact the only time wireless headphones even crossed my mind was when i'd see people walking around with them and thought "how the hell do they not lose those things" lol. But it was time for a change...plus we're all going to have to may the upgrade since Apple decided to make the iPhone 7's without a headphone/aux cord jack. Exactly what they were thinking? 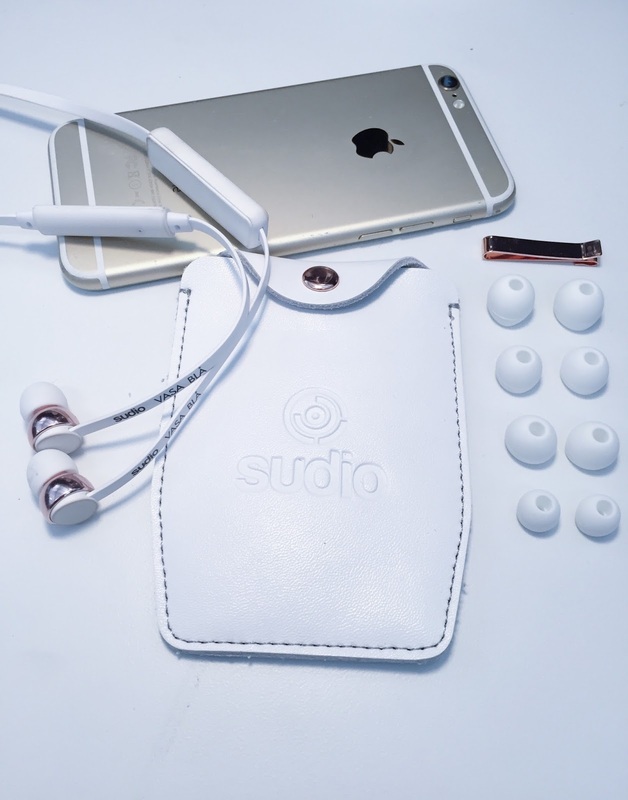 Who knows...but Sudio headphones just may be the answer Sway. I requested the Vasa Bla Rose Gold & White pictured above. When I first saw them on the site I thought they were super cute with their Rose Gold accents. I immediately started thinking about all the cool blogger type pictures I could take with them. The headphones come packaged nicely in a flip open case separated into two boxes. One for the leather case and owners manual (which of course I didn't read) and the other for the headphones, interchangeable ear buds, shirt clip and charger. I have to admit I loved the whole set up and look once I laid everything out...but a review can't be based off of looks alone so lets get down to the pro's and con's. I gave the headphones about a week to either wow me or have me give Sudio the serious side eye, but to be very honest most of my opinions about the Sudio Vasa Bla Wireless headphones were made within the first 2 days of owning them. Lets start with the positives eh? Design- I love the sleek yet flashy design of the headphones, the white and rose gold is my favorite color combination by far, however most color choices will catch your eye. Leather Carrying Case- I thought that this was a super nice touch, especially since my main worry was misplacing the headphones when they were not in my ears. Having the case gives package such a luxury look, I also appreciate the case's slim design. It makes it easy to slip in your pocket and carry on the go. *NOTE* The carrying case is not reinforced with any hard or protective material so it is possible to damage or break the headphones while in the case. So being able to have multiple sizing options was greatly appreciated. No Tangles- We have all experienced reaching into our backpacks or pockets and pulling out a wad of tangled cords only to spend the next 2-3 mins looking like we are trying to solve a Rubix cube. Welp, when you have no cords you have no tangles and trust me, not having to deal with that frustration is a lot more gratifying than you know. Hands Free Capability- All you need is your headphones. Start music, change tracks, answer calls, pause music, turn it up all from your headphones. You literally have no need to touch your phone at all. That Weird Feeling- If your not used to having wireless headphones this ish is going to feel weird...like really weird. There were times when first wearing them I physically reached for a cord that was not there LOL. I honestly felt like a fool. There were other times when i'd walk around with them in my ears and I think "I probably look like an idiot with the cord behind my neck like the nerd glasses". Losing Your Phone- While there are positives to not having a cord to tie you down...there is a huge negative, which is leaving your phone behind. Normally if you have your headphones in or around your neck, your first thought when getting up is to grab your phone, or make sure its in your pocket so you don't leave it or pull it off your desk as you walk away. However as soon as you get used to not having a cord attached to your phone...it gets easy to forget it. I walked away from my desk multiple times without bringing my phone with me and even left my phone on the counter in the bathroom. Luckily if your listening to something, when your too far away the headphones beep and stop playing your music to signifying your bluetooth disconnected. If your not listening to anything though and you leave your phone...you may be screwed. White Aint For Everybody- Although I adore the white headphones...these are NOT the right choice for girls especially if your a makeup lover and for those of us who are particularly accident prone when it comes to stains FORGET ABOUT IT. The outer material of the white headphones are much like that of the iPhone charger cord but more durable, however the material itself grabs stains like crazy *insert crying emoji*. By day two my headphones were covered in make up stains and dye from my jeans. GO WITH THE DARKER COLORS...cute blogger pictures aint worth it. And I had no want to look like a dirt ball. The Sudio Vasa Bla headphones grant you wireless freedom with studio quality sound, 8 hours of play, it pairs to answer calls, is controlled with one hand and comparable with all Bluetooth devices. There are 4 different models of headphones including the Vasa Bla ranging from $50.00-$110.00 per pair. But...are the Sudio Vasa Bla worth it? If your looking for a quality wireless headphone set I think these are a nice pickup, they have good sound quality, are functional, stylish and are comparable to other wireless headphones on the market. Im the most excited for using these babies on the flight to Paris, no wires and bulky bands going across the top of my head will make it much easier to get comfortable and sleep my life way. Generally speaking STAY FAR FAR AWAY from the white headphones no matter what. Also if you are more on the budget conscious side and you're not big on sound quality or the convenience of wireless headphones these are not necessarily for you. But with the way Apple is setting people up with the update...they aren't really giving us a choice huh? The Sudio headphones were sent to me for free for review, however all opinion in this blog post are my own. 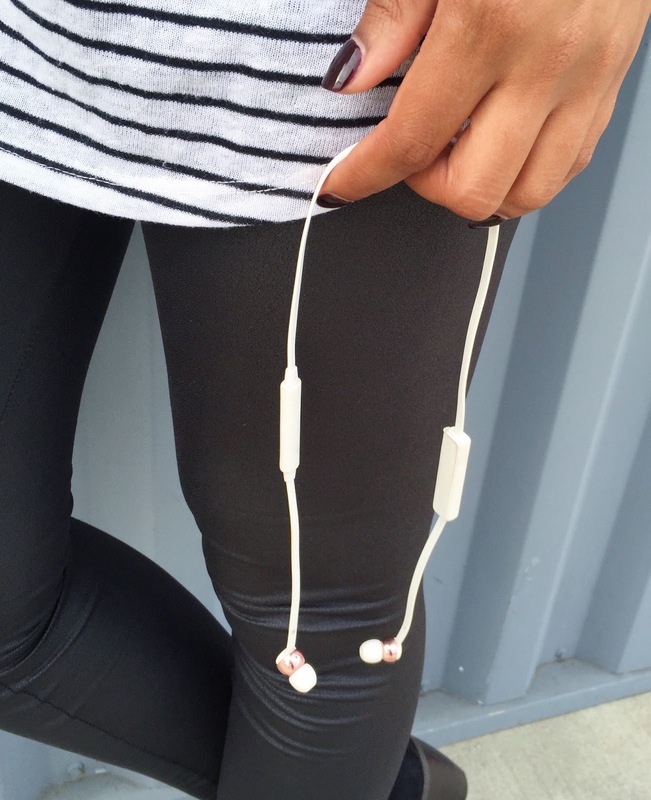 However, they do not typically provide the highest quality audio reproduction, can be uncomfortable over long periods of use or for those who don't like things in their ear canal, and dog headphone buying guide they also have tendency to fall out during running or other physical activities. These headphones are otherwise called "jars", stereo headphones,bang&olufsen h9i ear container headphones and even a couple of different names. iPhone is the top phone in the list so I will definitely buy these headphones. And for landline there is no better option than spectrum phone. If you are looking for the best bone conduction headphones for the money , than it is the right place for you.